YMCA Triathlon - Swim, Bike, Run! Don't miss the annual YMCA Triathlon! It was held for the first time in July of 1985. Kevin Curtis, former YMCA Executive Director and Youth/Sports Director Barney Reiley were looking for a site to hold a triathlon where they could have an open swim. 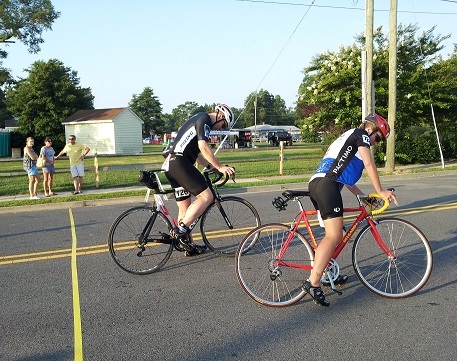 Barney taught at Colonial Beach High School in 1982 and recommended the Town as a site because of its open swim accessibility, a pre-existing 10k run course, and the potential for a beautiful bike course. The event was well received by the Town has drawn competitors from over 13 different states. It appeals to both the recreational triathlete as well as more serious competitors. 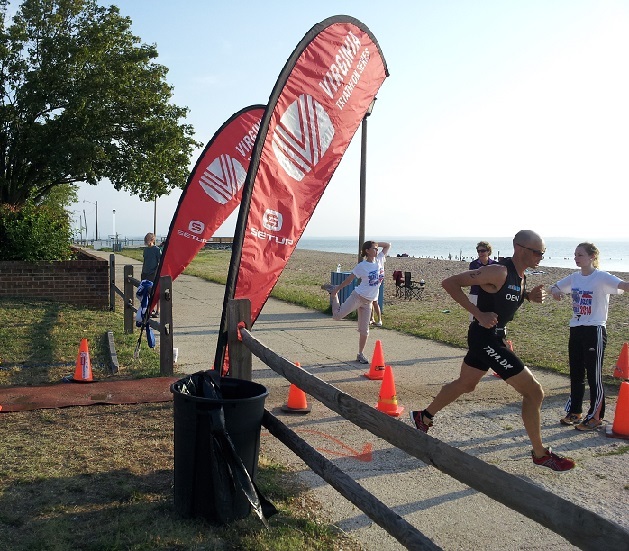 The event has attracted such nationally recognized Men's Division triathletes like Jim Knight, Troy Jacobson, Tim Morris, Jeff Brown, and Maryanne Zuckerman, Janet Hatfield, Nancy Lewis, Desiree Ficker, and Deborah Dudas in the Women's Division. 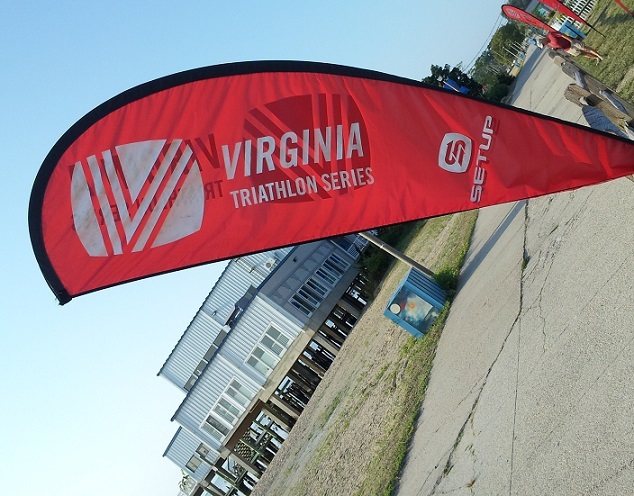 3-7pm: Packet pick-up for both the Sprint and Olympic Triathlons at the American Legion building, 27 Colonial Ave. in Colonial Beach. Note to Athletes: Swim Time Cutoff will be enforced in 2010. Sprint athletes must be able to finish the 700 meter swim within 40 minutes of start time, and Olympic athletes must finish the 1500 swim in 1 hour 20 minutes of start time.